With new technologies in the television industry being launched, there are televisions available on the market which have many advanced features. Most of the time companies prefer making televisions that are affordable to everyone. However, there are certain televisions that are made just for the few, due to the price tag that they carry. This price tag is sometimes due to the advanced technology that the company is using and sometimes it's due to the sheer luxury that they bring into your living area. This 84 inch TV from LG displays picture in ultra-high-definition. This is a 3D TV with the capabilities of a SMART TV. The resolution that it gives is 3840 by 2160 pixels. 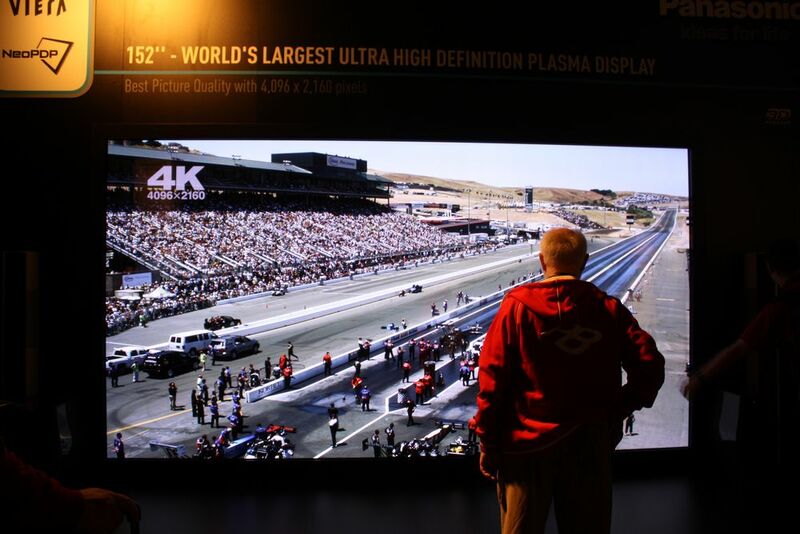 This television gives you a bigger, richer picture experience at 4000 pixel count. This is the Sony's answer to LG's 84 inch TV. This TV has a 4000 pixel count and gives a resolution of 3840 by 2160 pixels. It has a special 10-driver stereo system, which is placed around the edges of its screen. 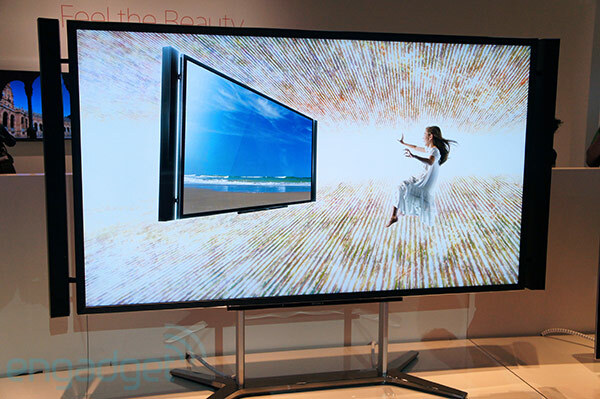 Samsung S9 is an 85 inch TV, which is being described by the company as beautiful and massive. This is a Pro LCD panel TV which has an advanced 2.2 sound built in to it. This giant precision black TV has a Quad-Core processor to power all the advanced features which it would provide. 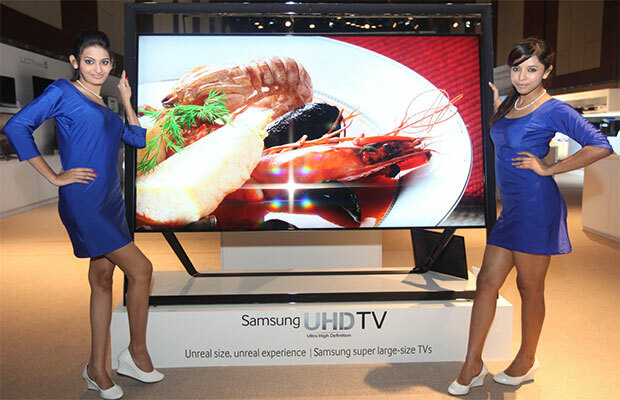 This is an ultra-high-definition range of TVs. 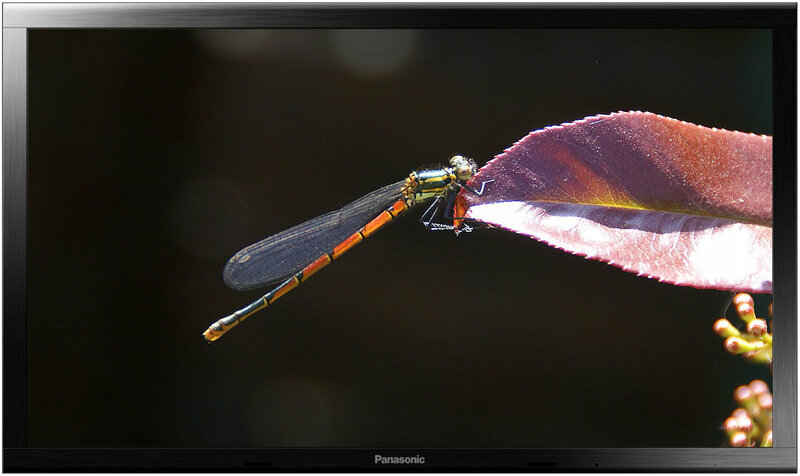 This plasma TV by Panasonic gives you full High-definition resolution of 1,920 by 1,080 pixels. The contrast ratio you get in this TV is 5,000,000:1. This TV also supports 3D viewing and you get 3D glasses with it. There are four HDMI sockets in the TV. This TV uses a 30 bit chip for color processing. The accuracy and quality of the picture on this device is mind blowing. 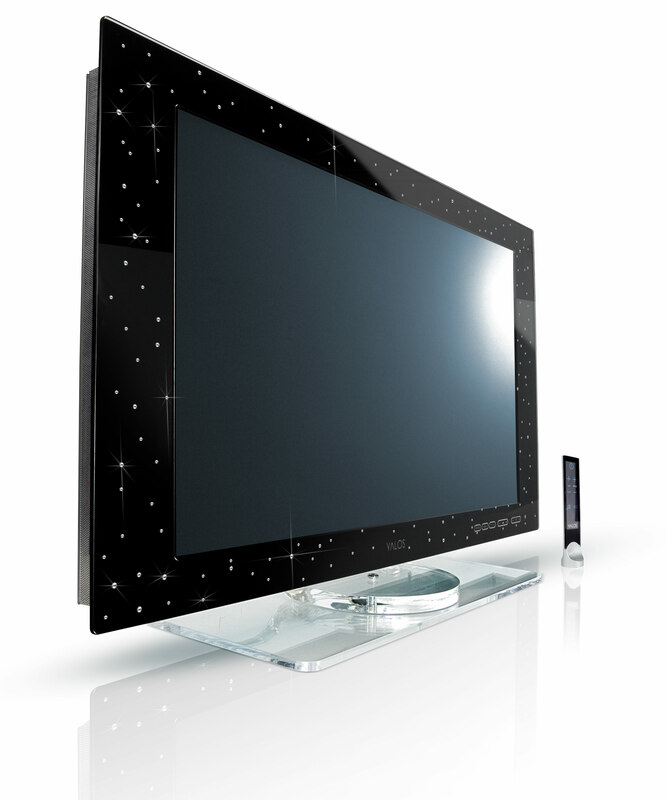 If you like to have a television which has a diamond studded panel, then Yalos Diamond is for you. 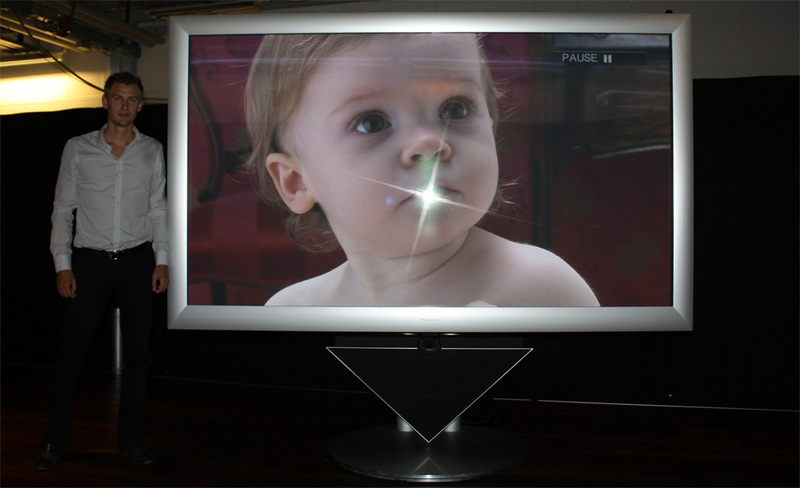 This television which is made by Keymat Industrie of Italy comes with a price tag of $140,000. It has 160 real diamonds studded on its panel, which collectively adds to 20 carats. The TV was designed by Takahide Sano, a Japanese designer. This TV is available in sizes up to 46 inches and you will not be able to see any welds or screws in it. If for you size matters, then this Bang and Olufsen TV set is made for you. BeoVision 4 - 103 is a 103 inch plasma TV which display picture is 100 Hz. This TV has many advanced features like motorized stand to adjust view angle, auto picture control and auto color management. The plasma screen of this TV gives you a great picture. This 108 inch LCD TV from Sharp was launched in 2008. The brightness of this TV is 400 cd/m2. The response time is 6 milliseconds and gives a 1080p picture quality. This 108 inch screen gives a 176 degree viewing angle and has 1 DVI and 3 HDMI input ports. This 152 inch plasma TV by Panasonic gives a stunning resolution of 4096 by 2160 pixels. The weight of this TV is a whopping 1272 pounds. This TV delivers a separate 3D image in HD quality. The ratio used in the TV is same as that of the cinema, which is 17:9. Stuart Hughes has done it again. 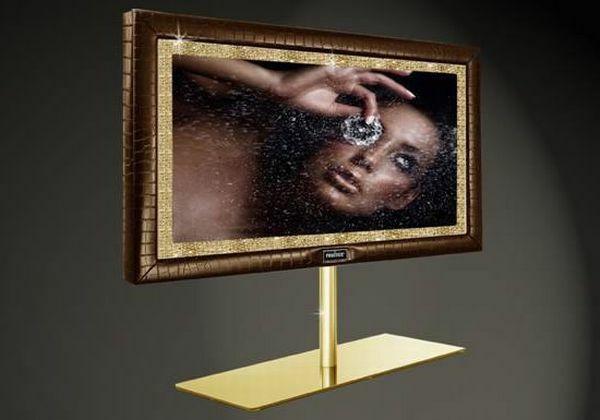 PrestigeHD Supreme Edition is a television which is built truly for the super-rich. This 55 inch television has 19 kilograms of yellow gold of 22K quality. It has 48 excellent diamonds cut in round shape and weighing 0.75 carat per piece. This TV is also studded with topaz and aventurine gems. For those who want a costlier TV than PrestigeHD Supreme Edition. This 55 inch television named PrestigeHD Supreme Rose Edition is the only option. It is coated with 18 K rose gold weighing close to 28 kilograms. This TV has 72 round-cut, 1 carat diamonds.